W.E.B. Du Bois’ Visionary Infographics Come Together for the First Time in Full Color | "His pioneering team of black sociologists created data visualizations that explained institutionalized racism to the world." Indonesian Caves Hold Oldest Figurative Painting Ever Found, Scientists Say | "It depicts ... a cow. Despite the humble subject matter, the painting is extraordinary because it's at least 40,000 years old. That makes it thousands of years older than the oldest such paintings in Europe. " U.S.A. Song Map | "A map of the United States of America made up entirely from the titles of over 1,000 songs. 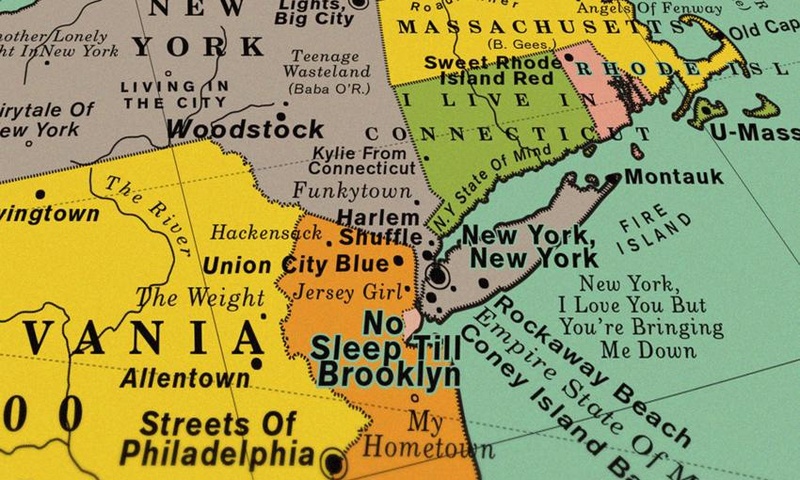 This vintage styled map will take you on a musical journey around the U.S. via the titles of songs that reference states, cities, rivers, mountains and landmarks." The 600-year-old history of the resume and its uncertain future | "This is how everyone ended up using resumes to get a job, and whether they’ll ever die out." Forthcoming Documentary Detailing the Formation of the New Bauhaus in America | "László Moholy-Nagy's influential school, now known as the IIT Institute of Design in Chicago, is finally having their story told." Design, Leadership, and Ambiguity | "An interview with [Slack] Senior Product Designer Diógenes Brito." Harry Potter: What Magic Sounds Like | "On the sound design of magic in Harry Potter." Pre-industrial workers had a shorter workweek than today's | "One of capitalism's most durable myths is that it has reduced human toil. This myth is typically defended by a comparison of the modern forty-hour week with its seventy- or eighty-hour counterpart in the nineteenth century. The implicit—but rarely articulated—assumption is that the eighty-hour standard has prevailed for centuries." Graphic Revolution: American Prints 1960 to Now | At the St. Louis Art Museum: "Graphic Revolution: American Prints 1960 to Now examines the transformational decade of the 1960s through the early 21st century, and the emergence of the creative synergies between the artists, publishers, printers, dealers, and collectors who have been critical to the development of American art during that time."